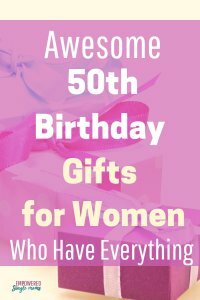 Is your friend, mother or partner turning 50? 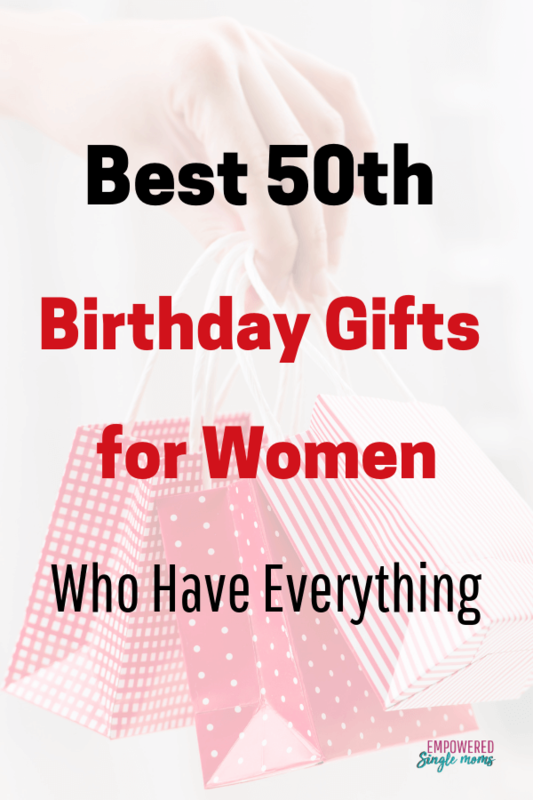 These are 50th birthday gifts for women that will make you her hero. Let’s face it by the time a woman is 50 if she wants some thing she either has it or can go buy it. 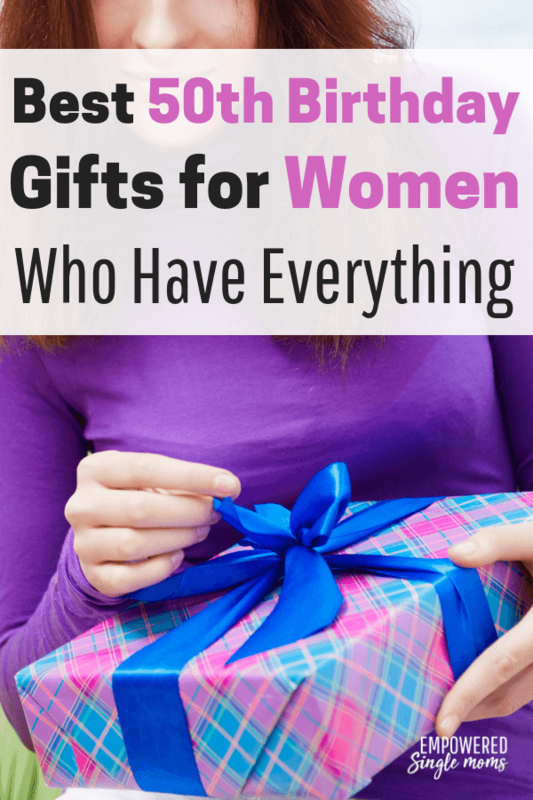 But all women like gifts. Gifts tell us someone is thinking about us. They tell us we are special, cared about and loved. 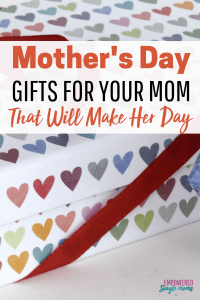 So even though a 50 year old woman doesn’t need things she loves getting something. First of all what not to get. I would skip the Tshirts like this one that broadcasts a woman’s age or the corny wine classes like this. Also, skip the silly books like this. These things are the classic 50 year old gift, but not really appreciated and will probably end up at the thrift store or be regifted. Even though a woman is 50 she probably feels 30 or 35. The last thing she wants is to be reminded that she is getting old. Does she have a favorite massage therapist? Be sure to get the gift certificate from that massage therapist. Can you find a concert one of her favorite bands is giving? How about a play? You could go all out fly to New York City and get Broadway tickets or get tickets to the local community theater play depending on your budget. If you know there is a book she is wanting to read by all means get it. Here is one of my favorite inspiring books for quick stories about inspiring people. I am listening to this one now. If you don’t know what book to get here are some even better ideas. Check the price on these two best sellers by clicking the photo. I have these and they are my favorite slippers ever. I actually wore out my first pair. I hate having cold feet and these keep my feet nice and warm. Listening to books is a great option if she commutes to work or wants to workout, but has trouble with staying motivated. Both commuting and working out are more pleasant while listening to a good book. I even find listening to a good book helps me stay motivated to clean house one of my least favorite chores. With a subscription to Audible, she can pick out her own books. Instead of a Tshirt broadcasting her age. Try something fun or inspirational. Depending on your budget it could be a night in a nearby town, a weekend getaway or splurge on a trip of a lifetime. If she is a grandma she will love a picture of the grandkids and it will mean even more if it is a picture of her with them. Another great idea would be a special photo from a trip she has been on. Make your own or buy them here. These planners are so beautiful. They are like a piece of art you have with you all the time. I love mine.